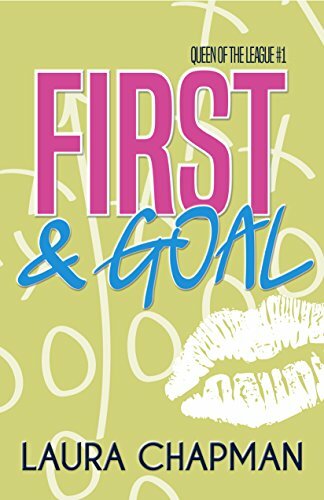 Blogger's Note: For Teaser Tuesday (and thanks to a real-life run-in last night) I'm sharing a scene from "First & Goal", the first book in the Queen of the League series. I actually wrote this scene based on a couple of similar experiences I had years ago with my own broomies. Enjoy! I did it. I won my seventh consecutive game, which is a new league record. Imagine, only a few weeks ago, I was convinced I’d finish the season without a single victory. Brook gave me the perfect team name because right now, I’m practically living a freaking fairy tale. With Brook at a post-season coach’s meeting, I watch the Monday night game at home. I’m glad Meg and Jackson joined my brothers and me for the game. As Queen Harper, I need as many subjects as possible to witness my victory. I’m so pleased about the new direction my fantasy team and life are simultaneously taking that I’ve almost forgotten about the mouse currently wreaking havoc on our house. We have three types of traps, two types of poison, and even a few of those fancy sound-emitting devices. Despite turning our place into a mouse war zone, our attempts at catching the infidel have been unsuccessful. We’re fairly confident we’ve managed to seal any of the entrances to our house with steel wool wedged into every crack. The only way the mouse is getting out of this house is through us. Unfortunately, the mouse is determined to stay. I’ve tried to keep my cool around my brothers, but I have to admit this whole mouse business is getting to me. 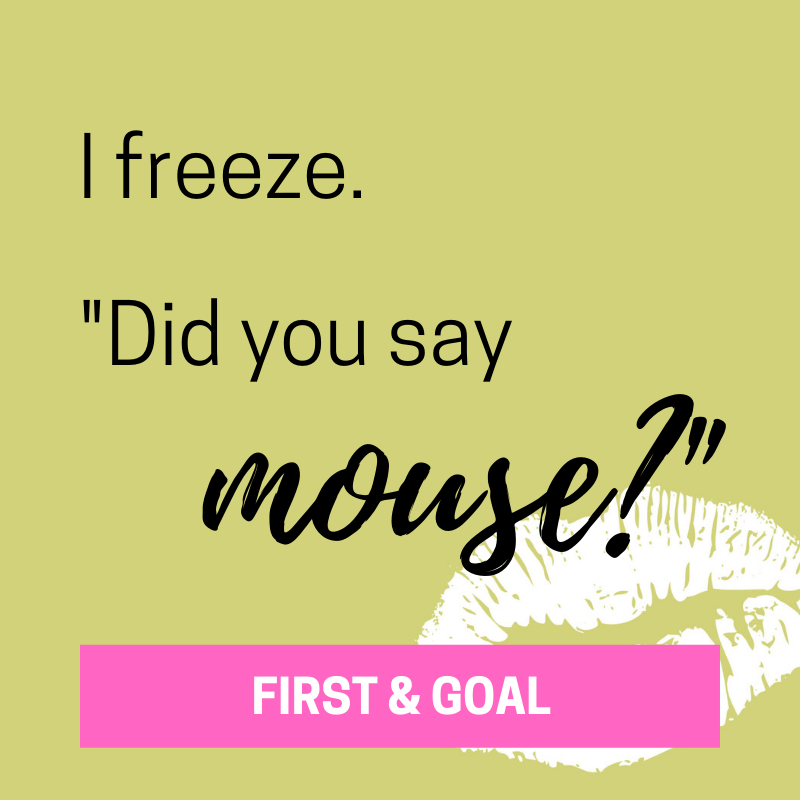 Saturday morning, I stumbled upstairs to start the coffee only to catch the mouse racing across the kitchen counter and escape down its secret hatch, better known as our stove. I tried pounding on the oven with a Tupperware container, but the mouse was long gone. Heart still racing, I reached for the coffee grounds, only to find a fresh set of mouse droppings in our cupboard. I’ve opted to go out for my coffee ever since. I’m not sleeping well at night either. I swear I can hear the damn thing scurrying along the kitchen floor. Every time I close my eyes and start to drift to sleep, my mind is flooded with visions of the mouse climbing up my bed skirt and running along my bed. It’s hard to sleep once you get that picture in your head. Fortunately, I have a great distraction tonight. Gabriel Natz, one of my wide receivers, is playing. Even though he and the rest of my team have secured my victory, he keeps adding point after point on the board. Eyes focused on the screen, I watch the quarterback chuck the ball down field and into the waiting arms of Natz, who runs it into the end zone. “Touchdown, Hah-paw! Touchdown!” he shouts. “Oh-my-God!” Meg screams while I’m in the midst of my victory dance. He nods. I turn my head and out of the corner of my eye a little gray blob races behind the couch. A scream forms on my lips as everyone springs into position. Almost like we’d planned the attack in advance, I plop my nephew on the recliner and pick up an empty cup from the coffee table. I position it on the floor on the other side of the couch. Scott grabs one of his golf clubs—why is that in the living room instead of the closet?—and jumps onto the ottoman on the other side of the couch. Christopher pulls out a baseball bat, and Meg runs to the kitchen. Clubs and bats in position, my brothers are ready to strike if that mouse comes anywhere near us. I may not be a fan of cruelty to animals. But in this instance, I’m okay with them channeling Little Bunny Foo Foo and bopping that mouse on its head. Hopefully they’ll only stun the little guy so we can scoop him into the cup and safely deposit him a mile away from our house. Oh God. I have the cup. That means I’ll be the one scooping him up. I’ll be in charge of taking him somewhere far, far away. My stomach lurches. The squeaking grows louder as the mouse comes to my end of the couch. It runs into the cup. I instinctively flip the cup up and jump to my feet. My eyes connect with his for one beat. His nose wiggles and my shoulders relax. He’s kind of cute. I nearly say that, but then he moves. I’m going to lose him. A shoebox lid slams down on the cup. They move into action at my bellow. Scott grabs my arms to hold me steady while Christopher slips a pair of ballet flats on my feet. Fueled by adrenaline alone, I take over for Meg and clamp the lid over the cup. Jackson bounces up and down on the chair cheering me on, while Scott races ahead of me and flings the doors open. Christopher follows along a few paces behind, and I run. My lungs burn from the cold air and the scream I’m trying to contain. My hands grow wearier as the mouse fights to jump out. But I hold on tight, arms extended as far away from my body as I can keep them without losing control. I can’t stop. I need to get as far away as I can. That’s what the articles online said. I need to keep this mouse from finding its way back into our house. At last, when I’m not sure my legs can carry me any farther, we reach the small park at the edge of our development. Pulling my arm back I lift the lid and fling the mouse. It flies away into the dark. I try to speak, but all that comes out is another cloud. The crisp air bites my nose. I hadn’t noticed the cold until now. The adrenaline and fear are suddenly gone, though my heart keeps racing. It’s all I can do to put one foot in front of the other as my brother leads me back to the house, tears streaming down my face. I’m still not sure where that sudden burst of courage came from, but Christopher was right. I am a badass.